Sorry I've been MIA all weekend - Hubs worked ALLLLL weekend long, so the girls and I HAD to get out of the house - so we went BACK to the zoo to see the Dinos!! Instead, I'll bore you with some school pics! ha! Don't mind my "still chewing on them" nails...bleh! Kelley asked me before, and I thought it'd be a good question to answer "out loud" - Where do you get your ladybugs?? I also get my caterpillars, ants, shrimp, praying mantis, etc there! Yes - I really have gotten all that before - ha! I really do love having my kiddos have that first-hand experience - oooh!! The chicks are hatching this week too!!! And real quick, I want to show what I did in small groups last week - we've been working on 4-digit numbers. So we're analyzing them, doing all sorts of fun stuff with them - lol. This is one of activities I use a deck of cards as my "random number generator." The kids are so funny - they actually call my deck of cards that - ha!! 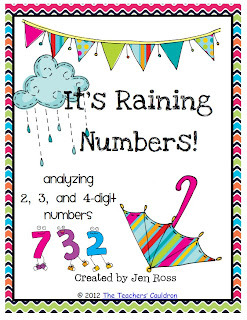 This packet has the option for the students to analyze 2, 3, and/or 4 digit numbers! 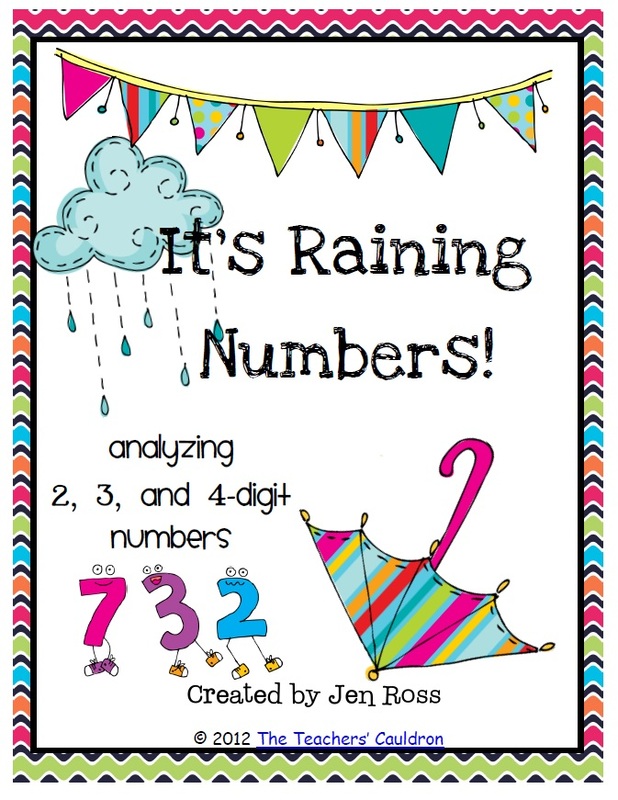 Great for differentiating instruction - or for the whole class to use to practice the place value on which you are working. Included are posters and number cards (should you not have a deck of cards). There are 3 different analyzing sheets for the students to write on, and 2 different crafts to either copy off onto construction paper or you can make tracers out of them. Even though I work mainly with reading, I do some work with second grade math. I will use this as we review math concepts this year. So excited about this free for awhile pack! It's perfect for end of the year number sense review! Thanks so much! Speaking of math, I am hosting a second grade math giveaway and I'd love to have to stop by and check it out! Thanks for sharing...I love this pack! I of course downloaded it!! Thanks for sharing! I am glad you and the girls had a great weekend! Love the cute pics! Thanks for sharing this pack! It looks great. We are working on composing and decomposing numbers this week so this is perfect! Thank you!!! First, your fingernails are longer than mine! Second, if you had taught my sixth graders, they would probably have better number sense now. Fourth... ummmm... have a great week! Thanks for the freebie! And you can buy shrimp? That is so cool! haha! Your pac looks very cute, Jen! I just grabbed your freebie and it's GREAT!!!! Great unit :) Left you some love. I can sympathise about the nail biting. Every time I vow to give up, something stressful happens and that resolution flies out the window! Hi Jen! Loved reading this FUN post! I love Insect Lore too! Time to put an order in for my butterflies! I just want to be C. I will totally be a great sister to A and B I promise. Can I just come be in your sweet family? btw That dino SCARED ME! Hey girl! Thanks for the freebie. I love it...I'm sending you a email in a second with a response to your comment on my blog. What a wonderful idea and it's exactly the skills I need to reinforce right now. Loving your work! Hey!! I am behind too, as you can see! I FINALLY did that email thing. I think. Can you see it now? Did I do it right?! ?